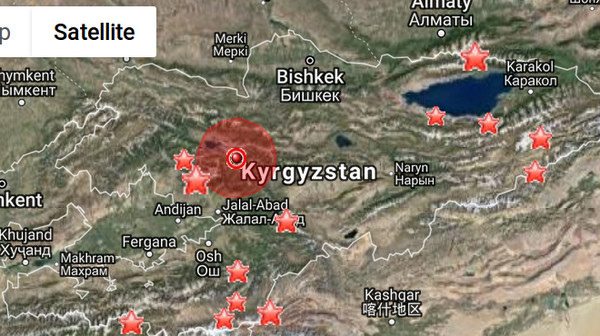 AKIPRESS.COM - The earthquake was registered in Kyrgyzstan at 10:53 on September, the Seismology Institute said. The epicenter was 80 km to the north-east of Jalal-Abad, 126 km to the north-east of Osh. The earth tremors were felt 3 scores in the epicenter.